Sony has added prices to the beta for their PlayStation Now streaming service, and though these are experimental numbers—it's a beta, after all—the current prices are insane. 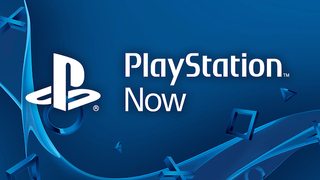 What's more, as of right now, PS Now beta testers actually have to pay to play games. If I want to test out the service, I have to dish out crazy amounts of cash. $5 for four hours! $30 for 90 days! You can buy the whole game on Amazon for $17. Why do you have to pay $15 for a 90-day rental when it costs $15 to buy the game on PS3? Other games cost similar prices, which seem to be based on when they came out. There's a little note on the bottom of PlayStation Now that reads: "Game titles and features shown are for testing purposes only. Not indicative of the final price." But anyone who's in the beta right now has to pay these prices. I just tried to rent Deus Ex: Human Revolution and had to pay $4.99 for four hours of the privilege. And it looks like prices like this could be here to stay. From the PS Now FAQ: "The upcoming Open Beta will test multiple pricing tiers and rental durations. You will see shorter rental periods prices as low as $2.99 and most titles are between that and $19.99. More information to be announced later." Granted, Sony has promised that they'll be offering some sort of subscription program when the service actually launches, but at least for now, don't bother with the PS Now beta unless you've got a fat wallet. I want my $4.99 back.